First of all, I want to thank my friend and blogger Dayle for finding this image and photo shopping it for me to use! I’m very grateful for her help! 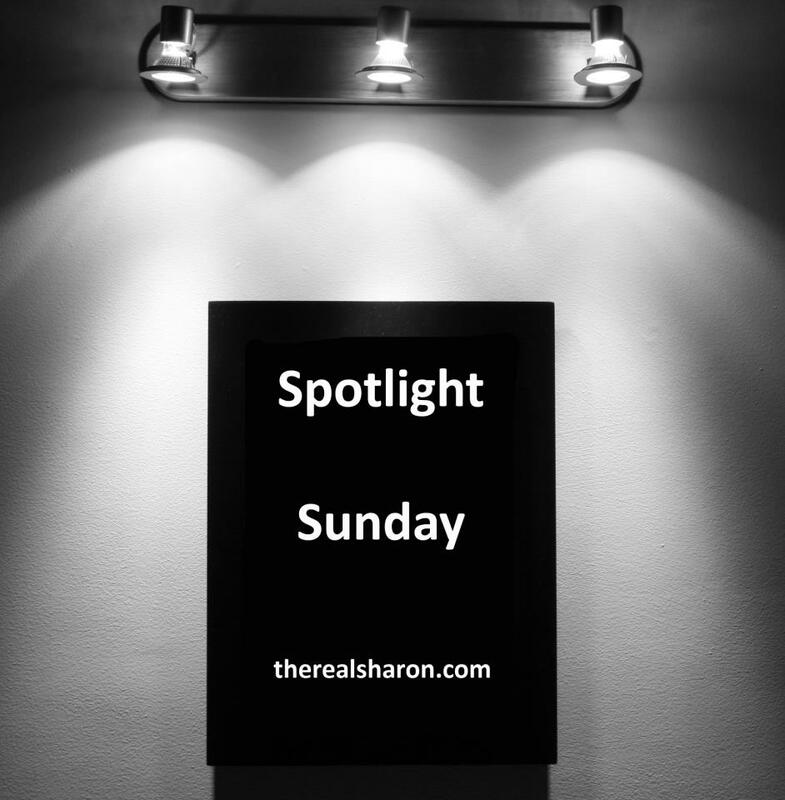 Welcome to my Spotlight Sunday! Every Sunday from now on, I will be putting something or someone in the spotlight on my blog! It literally could be anything! 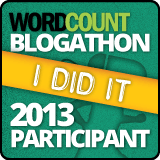 One week it might be a blogger or an author or it could be a book, a website, a song…..anything! But each week, I will be spotlighting something that I personally love and sharing it with my fellow readers! Anyone is welcome to use the idea on their own blog and spotlight whoever THEY choose, but if you do, please use my lovely graphic that my friend made somewhere in your post to show that the idea came from here! And I would love it if you left the link in my comments, so I could go check out what YOU spotlighted! For this first week, I have chosen to spotlight a Photographer/Artist who I have loved and admired since I was a kid. Her name is Anne Geddes and she is a very talented woman whose photos are adorable and enchanting! She is also one of the world’s most respected photographers and has been published in 83 countries! As a child, I loved her books and calendars that were full of happy little babies all dressed up as animals, plants and fairytale characters. Of course, I have always adored babies so Anne Geddes was #1 in my book! I even requested one of her adorable stuffed animals for Christmas one year, a Teddy bear with a human baby face. I actually still have this in storage at my parents! I follow her on Facebook and I have her photos in my bathroom as well as one on the wall next to my bed of three babies in teddy bear outfits. I also own two of her photo books which I have on my bookshelves. If you click on “Calendar”, it will take you to her website where you can browse many photos of hers and see my favorite most recent picture, which is the January Calendar photo that includes…teddy bears…my other love. I do not have her most current calendar, but I really want it now! Here is an example of one of her photos. Isn’t it simply adorable? I also admire the fact that she is not only a photographer, but a clothing designer, businesswoman, partner for the United Nation’s Foundation Every Woman Every Child Initiative, Ambassador for the Woolmark Company AND a Global Advocate for Shot@Life, which helps provide life-saving vaccinations to developing countries. But I have to admit the way her photos make me go awwww every time is enough to be a fan for life! 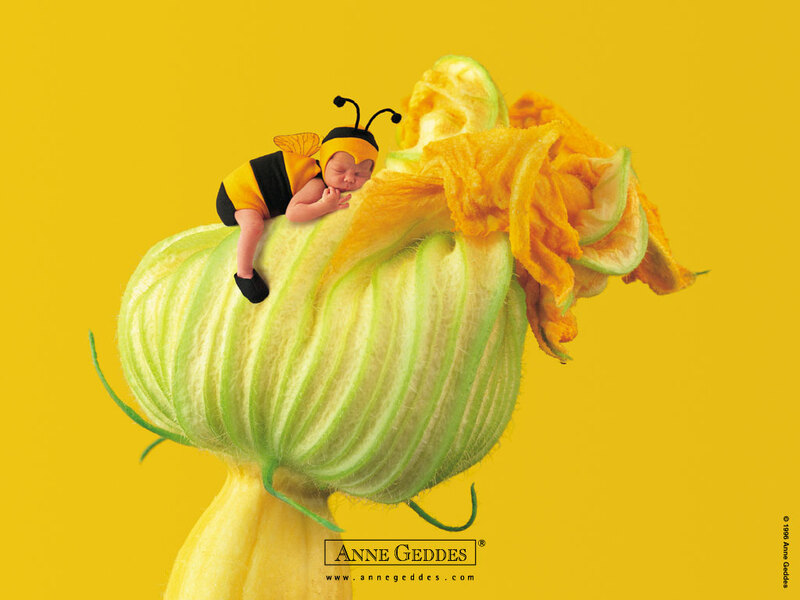 Photo of the adorable bumblebee credit is all to Anne Geddes! I didn’t know all of the other stuff about Anne Geddes . . . very cool! When Kes comes home, I’m going to have him scan the picture I was telling you about (I only kind of know how to use the scanner and I usually end up getting aggravated with it! lol).